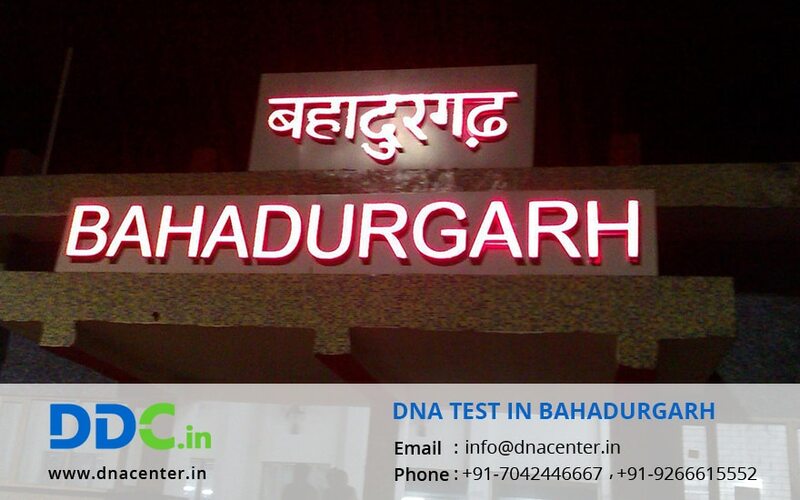 DNA Test in Bahadurgarh Haryana can be done in DDC Laboratories India effortlessly. We have a wide range of DNA tests including peace of mind, genetic tests and many more. DNA tests are affordable and the results are quite fast. We also identify dead bodies through DNA testing process. We are the leading private laboratory for DNA testing in India and conduct all kinds of DNA tests and have more than 400 collection centers across India. We offer DNA testing services for the peace of mind like DNA paternity tests, DNA maternity tests, kinship, sibling-ship, ancestry lineage to establish natural connections among family members. We conduct embassy approved DNA testing to establish biological relationships in case of immigration applications. Our labs have the latest technology and world class facilities for DNA testing. Our results provide the 100% accuracy whether the DNA testing is done for the peace of mind or immigration purpose. We ensure the privacy and confidentiality of the DNA results to our clients.